Linux powers our desktop (GNOME), email (Evolution) and email backend (Groupwise). 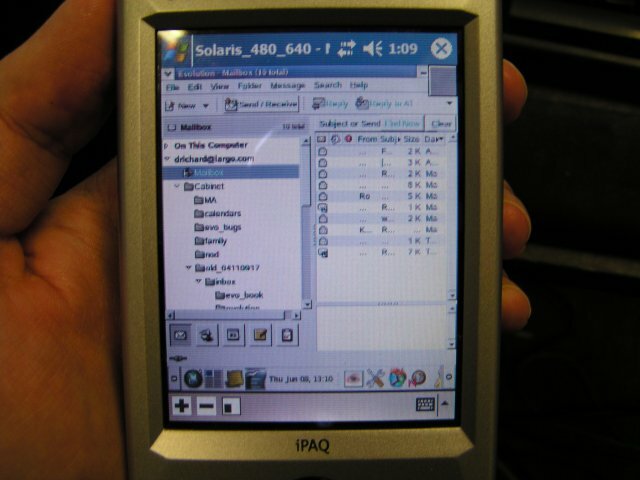 An ongoing project to allow our users to use handheld devices to access our network is nearly complete. Plugin for GroupWise must run on Linux and not require another server. Offline viewing of email/calendars must be supported via sync and download. Sync must happen over wireless, because we don't have want/have cradles. 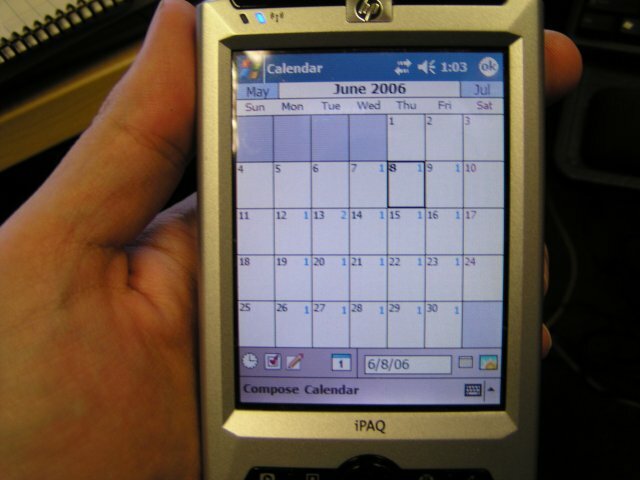 Installation to handheld devices must not require Microsoft Windows. Citrix client must allow real-time access to our applications in 802.11 hot spots. We have selected Omni Mobile because they resolved requirements 1-4 very nicely. 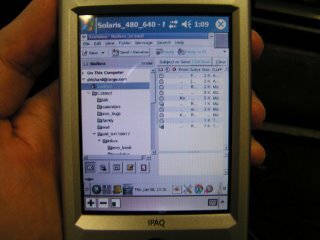 We picked devices running PocketPC because it resolved issue 5, and is one of the supported platforms for Omni. We are rolling this out into production in the next few weeks. 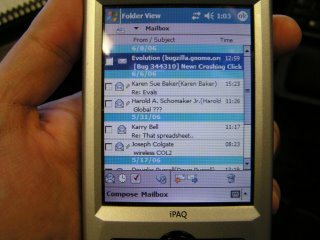 Omni Mobile syncing with and displaying my GroupWise Mailbox. Omni Mobile syncing with and displaying my GroupWise calendar. Citrix connection to GNOME & Evolution in 480x640, 16bit, Display Factor 2. 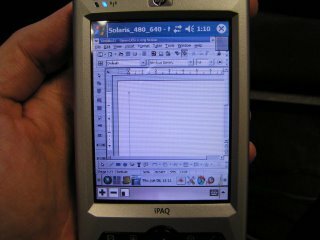 Citrix connection to GNOME/OpenOffice 2 in 480x640, 16bit, Display Factor 2.